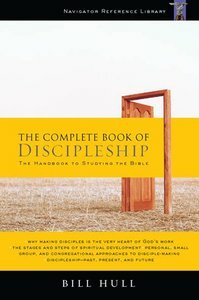 About "The Complete Book of Discipleship"
Bill Hull's efforts as a pastor and writer have been focused on being a disciple and making disciples. He has written several groundbreaking books for leaders and churches. Bill and his wife, Jane, have been married since 1969 and are the parents of two grown sons.